Dukurs nickname is "Superman" for his dominance in the sport, and he cant slow down or his own older brother, Tomass, will beat him. "My brother usually says: I finished second in the World Cup but only second best in my family," Martins said. Both began sliding as teenagers when skeleton was introduced in Latvia. Their father Dainis, a former amateur bobsled brakeman, manages the ice track in Sigulda, their hometown. He also designs their sleds and is national team coach. Dukurs was seventh at the 2006 Turin Olympics after a stressful training period in which he was also studying for his bachelors degree in economics. He has won four straight World Cup overall titles, becoming the only Latvian to win the World Cup standings in any individual winter sport. At the 2010 Vancouver Olympics, Dukurs had the honor of being Latvias flagbearer in the Opening Ceremony. Dukurs said he accepted even though "people say you are less likely to get a medal if you take on that role." He went on to win the Olympic silver medal behind Canadas Jon Montgomery while Tomass was fourth. Dukurs won back-to-back World Championships in 2011 and 2012. Last season, Dukurs won eight of nine World Cup gold medals, including the Olympic test event in Sochi, and was the silver medalist in the only World Cup he didnt win. In one of the sports biggest upsets, Dukurs slipped into second place in the 2013 World Championships at St. Moritz, Switzerland, behind Alexander Tretiakov of Russia by .03 of a second. Dukurs trailed by .46 after three runs. He then posted the fastest run of the competition, 1:07.80, on his last try, but it wasnt quite enough. 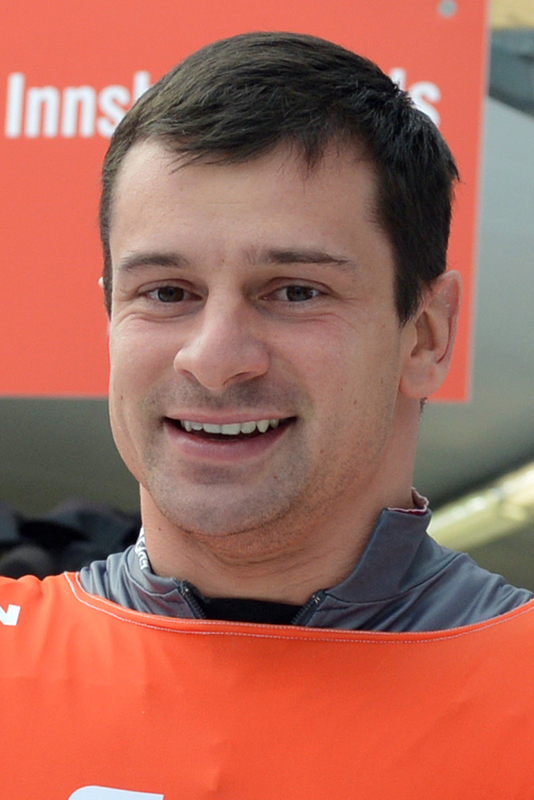 Dukurs rebounded from the loss with the win at Sochi. This season, Dukurs started out well with a win in Calgary, Alberta. Moving on to Park City, Utah, he broke the track record on his first run with a time of 48.58 seconds, but could only muster the seventh-best time in the second heat to finish second. The following week Dukurs was uncharacteristically slow in Lake Placid, N.Y., finishing eighth for his worst World Cup result since Feb. 12, 2009, when he was 11th in Park City. Meanwhile Tomass, who is nearly three years older, started this season by placing third in Lake Placid, fourth in Calgary and sixth in Park City. Dukurs is the favorite for the gold medal, but must hold off Russias Tretiakov and his own brother. In 2010 he was awarded the Order of the Three Stars, Latvias highest honor which is usually given to heads of state, royalty and other dignitaries. Dukurs grandparents grew tulips in the countryside and he developed a work ethic by helping them.